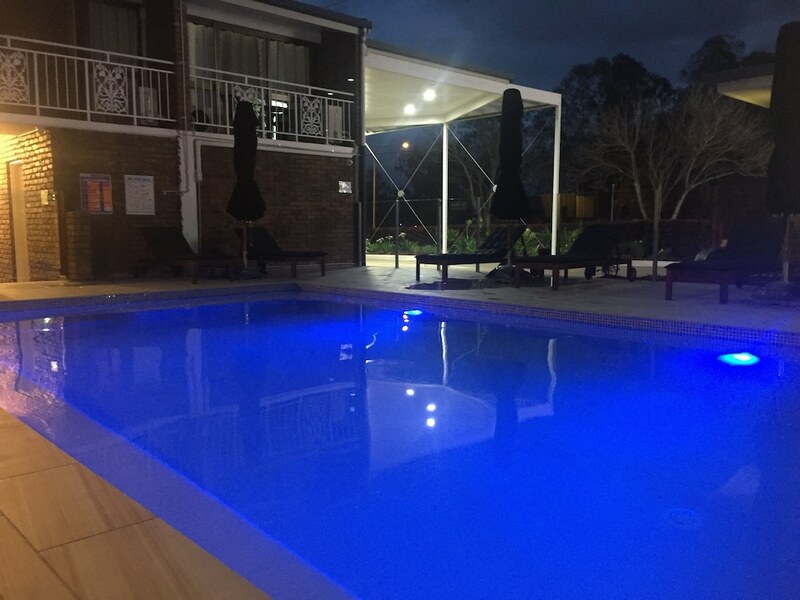 Located in Slacks Creek, Logan City Motor Inn is in the suburbs, a 3-minute drive from Logan Hyperdome and 8 minutes from Daisy Hill Koala Centre. This motel is 3.9 mi (6.3 km) from Logan Hospital and 8.6 mi (13.8 km) from Westfield Garden City Shopping Mall. Make yourself at home in one of the 26 individually furnished guestrooms, featuring refrigerators and microwaves. Complimentary wireless Internet access keeps you connected, and flat-screen televisions are provided for your entertainment. Private bathrooms have complimentary toiletries and hair dryers. Conveniences include electric kettles and irons/ironing boards, and housekeeping is provided daily. Logan City Motor Inn features an outdoor pool and a spa tub. Wireless Internet access is complimentary. This Slacks Creek motel also offers barbecue grills, laundry facilities, and beach/pool umbrellas. Onsite self parking is complimentary. Logan City Motor Inn has designated areas for smoking. Continental breakfasts are available for a surcharge and are served each morning between 7:30 AM and 8:30 AM.